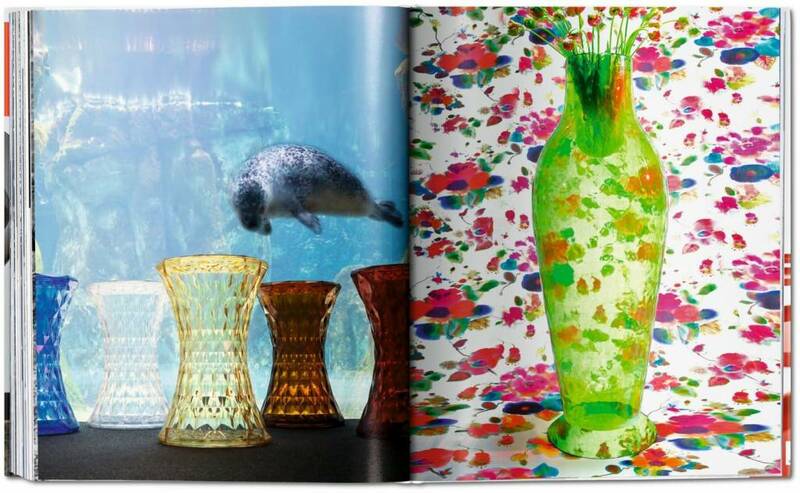 The Italian company Kartell is famous around the world for having invented the culture of plastic furniture and interior fittings. 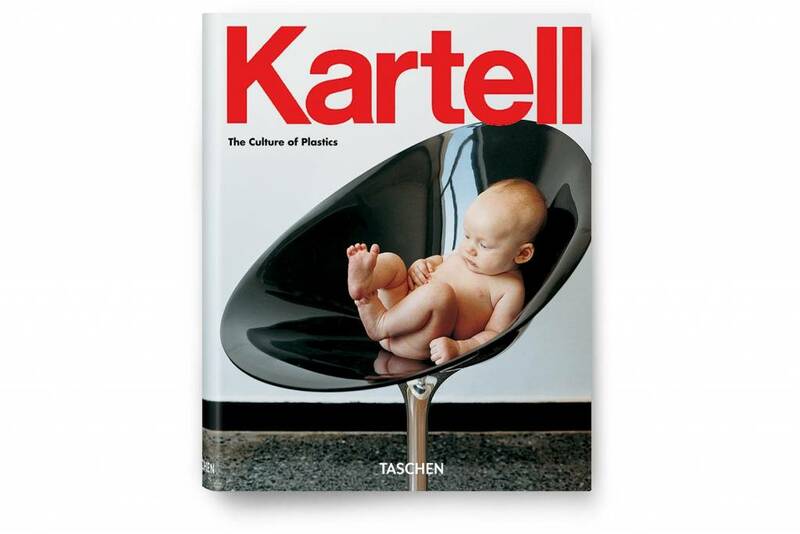 Kartell was founded in 1949 by Giulio Castelli, a chemical engineer with a vision to create something good from plastics, a material whose applications were still relatively unexplored. A fruitful collaboration with the great designer Gino Colombini started, who won the firm its first Compasso d’Oro award in 1955. 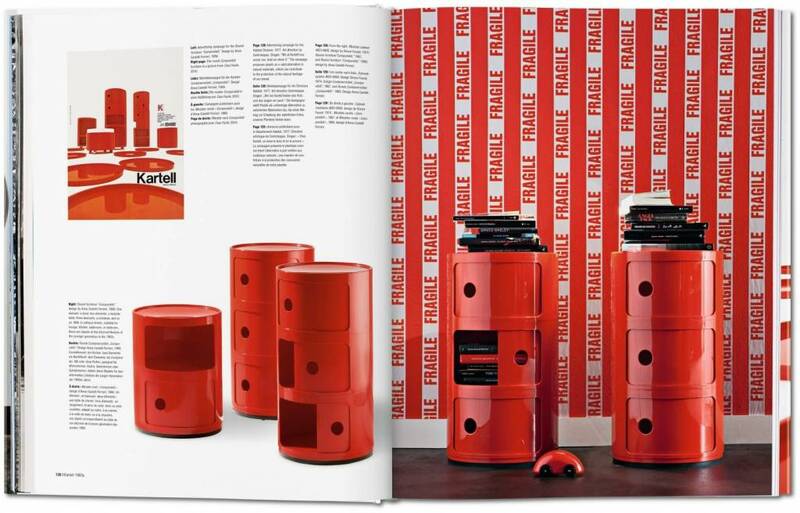 Particularly since the plastic-loving era of the 1960s and ’70s, Kartell has become an enduring household name; from the famous designs of Anna Castelli Ferrieri and Joe Colombo in the 1960s to more recent hits such as Philippe Starck’s Ghost Chairs or Ron Arad’s Bookworm shelves, Kartell has consistently chosen to work with the world’s most talented designers while reinventing plastic as a quality material for the new age. 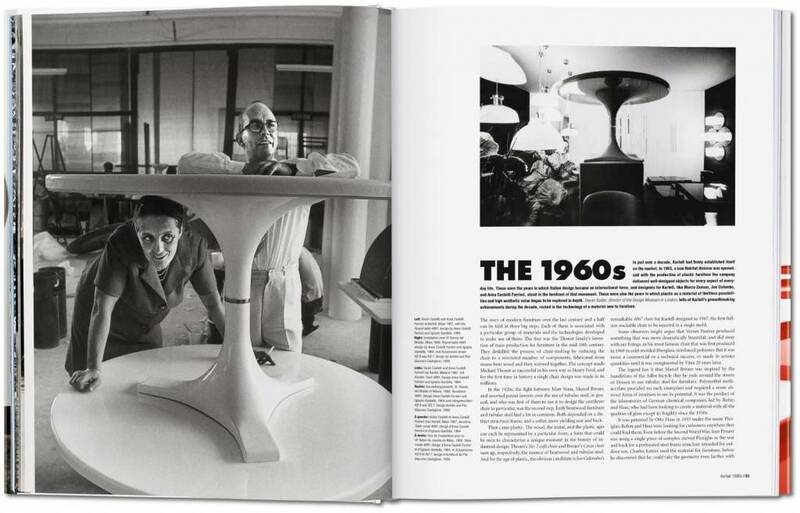 This survey covers the entire history of the company, decade by decade, exploring all aspects of its evolution as well as the social and technological qualities of Kartell products. 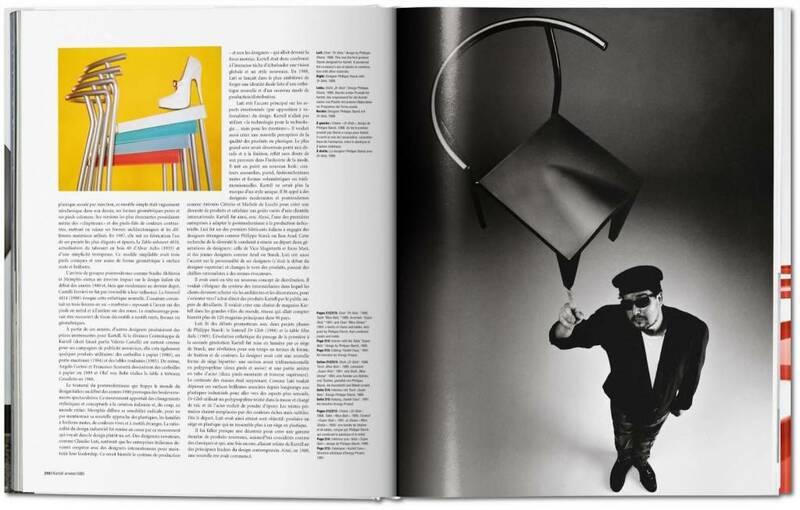 Also included is an interview with Claudio Luti, owner and president of Kartell for more than 20 years and architect of the new boom. 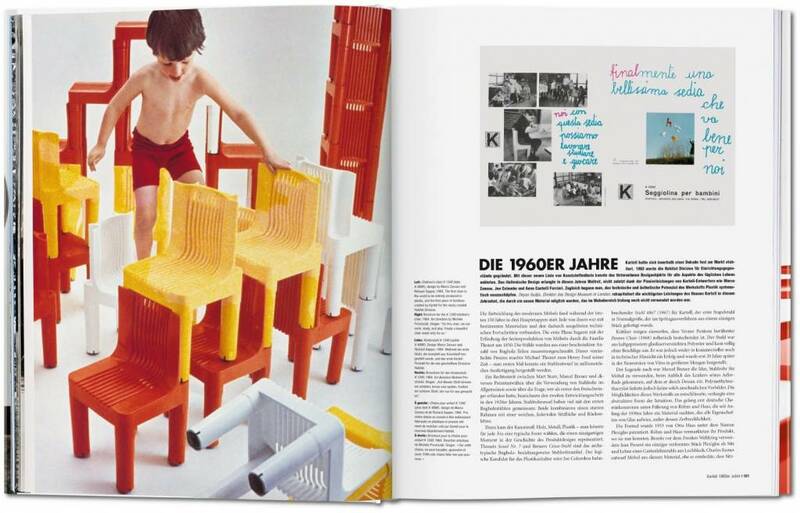 But most of all the objects themselves—in historical shots, ads, displays, and many photos especially made for this publication, with detailed captions on the technological innovations behind the design—tell the story of a company that brought us the culture of plastics.